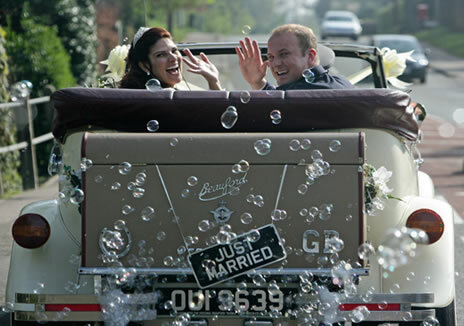 We have two beautiful 1930s style Beauford Convertible Tourers available to transport you throughout your wedding day. These create the perfectly romantic ambiance required for a wedding day. They are both immaculately presented and perfectly elegant. We also offer the unique and magical option of bubbles at no extra cost. Which can be provided while in motion or stationary. 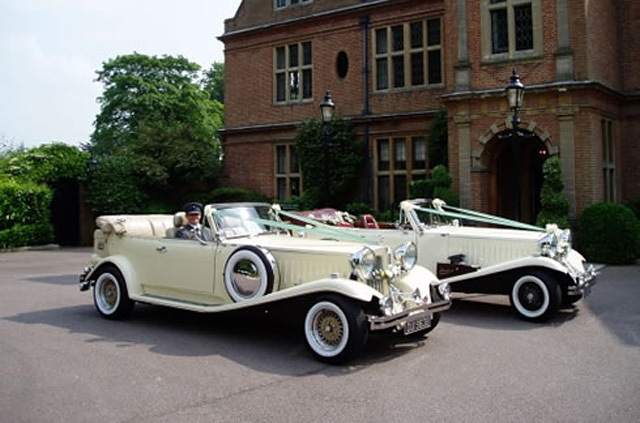 Our Beauford Tourers are both in the traditional cream wedding car colour. One has a tan hood with burgundy leather, the other has a beige hood and cream leather interior. Both beautifully complimentary to one another. 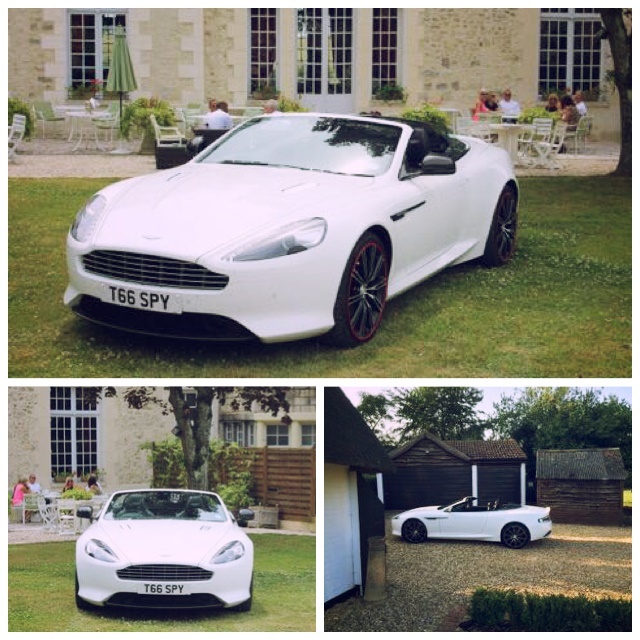 So they would be perfect if you required a second car for your bridesmaid or parents. Ribbons and bows can be provided to match your colour themes. Prices vary on location and requirements please do not hesitate to contact us to discuss. Or please call us to discuss your requirements and our availabilities. Please note these are only available for local areas surrounding – Buckinghamshire and Bedfordshire. Please contact us to discuss.